Romney won. Get over it, Obama fans. 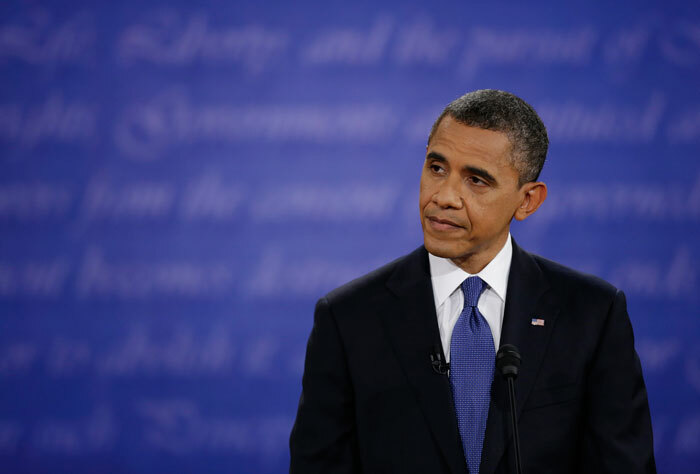 Obama lost out in Wednesday night's presidential debate. Obama people, stop pretending. Stop trying to find the silver lining. Drop the crap about how Mitt Romney was a condescending jerk and vague on everything. Yeah, Romney was all that. And you know what? He still spanked Barack Obama in Wednesday night’s debate. Romney was smooth, easy going, clear, ended his sentences on actual periods and just kept jabbing at the president all night long. But if Obama had been on his game, none of that would have mattered. In fact, the president was way off balance, by turns smug, grim and obviously irritable. He couldn’t find his way out of the weeds on most policy answers and he didn’t try to hit Romney even when he had huge openings. 1. Romney basically admitted last night that his Medicare proposal replaces the current program with vouchers. But it was almost a sleight of hand. So Lehrer asked him directly about vouchers. Romney ignored him. And the president let it go! 2. Romney said he has a healthcare plan. He does, but as Ezra Klein of the Washington Post pointed out in a tweet, it’s exactly 369 words long. And Obama didn’t bother to challenge him on it! 3. Romney says his healthcare plan will cover people with pre-existing conditions. It doesn’t. It only covers people who’ve had continuous insurance coverage. That means that if you’ve never had insurance for whatever reason, you’ll never get it. And if you lose your job, you’ll also lose your insurance. Obama supporters can console themselves all day long by saying debates don’t matter, that history proves that. They can also tell themselves that first debates usually help the challenger. But here’s what history also tells us: Debates provide a bump of anywhere between 1 and 3 percentage points in the poll. And in a race divided by just about 4 points, that means Romney — and there does seem to be agreement both among pundits and early polls that he won this one — can pull himself up to within the margin of error nationally and quite likely lead in states such as North Carolina (where the president had forged ahead by a fraction), Colorado, Florida, and maybe even Iowa and Virginia. Just this morning, Obama was down a full ten points on Intrade to 66. The next debate is in two weeks. And Obama is now in the very position he’d hoped to avoid: on the defensive.